Book contributors include Dr Joy, Tina Ngata, Nick D.Kim, Vanessa Hammond, Paul Tapsell, Alison Dewes, Peter Fraser, Kyleisha Foote, Catherine Knight, Steven Carden, Phil McKenzie and Chris Perley. 75% of New Zealand’s native fish are on the threatened species list. Land Air Water Aotearoa (LAWA) published a ten year trend report indicating water quality at most fresh water sites is improving however Dr Joy is of the scientific view that LAWA’s report fudges the actual figures. If water samples are taken from a stream and analysed for nitrates, it may produce a lab result indicating an improving level of nitrates however if the stream is growing increasing amounts of algae, most of the stream’s nitrates are contained within the algae and the lab result is therefore a false result. 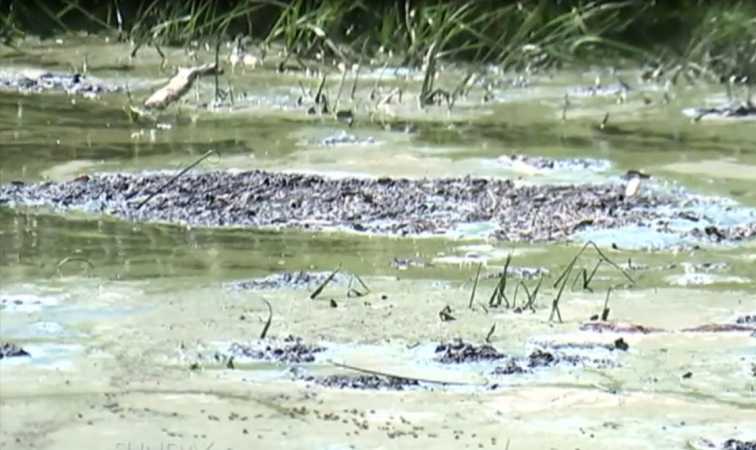 Water quality is not improving, a larger crop of algae is growing. LAWA is in effect the Regional Council’s PR front and its water quality regimes are therefore tantamount to self reporting exercises. Fonterra has indicated 99.6% of their milk suppliers waterways are now fenced off. Fonterra defines a waterway as “wider than a meter and deeper than 30cm”. The reality is that 50% of water-courses carrying most of the pathogens are not included in Fonterra’s definition and 75% of pathogens originate from water courses which don’t meet Fonterra’s definition of a waterway. A chapter of the book focuses on Catherine Knight, a civil servant who describes how she was pressured to mould environmental findings to suit political agendas. Many central government civil servants have indicated they have not been able to provide free and frank advice to Government Ministers out of concerns for job security. A farm is a biological system and can reach a point where farming activity plateaus and that being the case, it matters not, how much additional fertiliser is spread, there is no additional economic benefit and any increased production is uneconomic. Additionally, in the event land is not utilised for appropriate purpose, environmental impact will increase exponentially. Rejigit has written extensively about the degradation of New Zealand's waterways. Massive and predominantly unregulated use of Urea fertiliser in New Zealand (915,000 tonnes during the 2015 / 2016 year) is one of the elephants in the room in terms of the dire state of many New Zealand waterways. It is difficult to imagine what a mound of nine hundred and fifteen thousand tonnes of Urea might look like but it would certainly be one hell of a pile. Plenty needs to be done about this and pronto. Professor Sir Peter Gluckman, Chief Science Advisor to the New Zealand Prime Minister has published a report dated 12 April, 2017 entitled “New Zealand’s fresh waters: Values, state, trends and human impacts” which is based on existing science and data. The report urges politicians to boldly address freshwater issues and it concludes there is clear scientific evidence the freshwater estate is under serious pressure in terms of both water quality and quantity and there is a link between farming practices and declining water quality in pastoral areas. Alarmingly the report concludes that the state of some New Zealand waterways has already deteriorated beyond a tipping point and some will take more than fifty years to recover and even then will never be restored to their original state. Professor Gluckman’s report includes irrefutable data but unfortunately does not also propose any remedies. The Gluckman Report comes hard on the heels of an OECD Environmental Performance Review: “New Zealand 2017” published March 20, 2017 which addresses many of the same concerns and describes New Zealand’s freshwater quality as scandalous. The New Zealand Parliamentary Commissioner for the Environment, Dr Jan Wright has also previously drawn attention to the same issues in her Update Report “Water quality in New Zealand: Land use and nutrient pollution” published in June 2015. Update: A ninety eight page report titled “Our Fresh Water 2017”, co-published April 27, 2017 by the Ministry for the Environment & Statistics New Zealand is another damning description of the state of New Zealand's rivers and lakes. Rejigit is of the view that the matter of Nitrogen pollution is critical and requires a very urgent change in some New Zealand agricultural practices together with a universal approach to fresh water quality management. It is estimated that in excess of 137,000 tonnes of Nitrate leachate enters the New Zealand freshwater network during a twelve month period. It would be surprising if the vast majority of thinking New Zealanders are not already aware of the problems addressed in Professor Gluckman’s report and the negative impact they are having on the Country’s environment and it’s so-called clean green image. International research has determined that up to 50% of the nitrogen content of top-dressed Urea can end up in waterways by way of run-off, animal urine and leaching through the ground which in turn causes over-stimulation of growth of aquatic plants, weed and algae. The resultant increased growth of these organisms clog water flow, blocks light to deeper waters and depletes dissolved oxygen in the waterways as they decompose. There is also the frightening potential for Nitrate leachate contamination of drinking water sources. The problem is palpable and becoming worse by the day. It beggars understanding that something dramatic is not being done about it. A Solution: Rejigit has interviewed a respected international scientist with extensive experience in nanotechnology, physical chemistry and polymer chemistry about the development of a revolutionary means of producing slow-release Urea fertiliser via nanotechnology. The nano process involves combining Urea with Hydroxyapatite nanoparticles. Hydroxyapatite is a naturally occurring mineral form of calcium. Laboratory testing has confirmed that the release rate of Urea from a Nanohybrid with a 1:6 Hydroxyapatite to Urea ratio is twelve times slower than that of pure Urea and the Nanohybrid contains very nearly the same amount of available Nitrogen as unadulterated Urea. In short, this Nanohybrid fertiliser remains in the ground doing what it is supposed to do and does not find its way into waterways. The nano manufacturing process is similar to that used in the production of slow-release medicines. ...Urea / Hydroxyapatite Nanohybrid fertiliser is considered to be environmentally friendly. ...Unlike neat Urea, Nanohybrid fertiliser does not break down rapidly in wet soil to form ammonia which ultimately enters the atmosphere as nitrogen dioxide, the principal greenhouse gas associated with agriculture. ...In order to achieve equivalent pasture growth rates, much less of Urea - Hydroxyapatite Nanohybrid is required than would be the case with unadulterated prilled or granulated Urea (up to 50% less). ...If appropriate agricultural practices are used in conjunction with Urea - Hydroxyapatite Nanohybrid fertiliser, it is theoretically possible to achieve zero loss / run-off / leaching of applied Nanohybrid fertiliser. ...A lower tonnage requirement for Nanohybrid fertiliser will result in a decrease in cartage and spreading costs and notwithstanding a higher nanotechnology manufacturing cost, the reduced tonnage required will more than offset any increase in material cost. It’s a no-brainer. An environmentally friendly alternative. An improved agricultural outcome. Less cost than existing Urea fertilising practices. Beneficial to grazing stock and agricultural production. A dramatic decrease in the current pollution of New Zealand waterways. If the New Zealand Government either refuses to act in a timely and meaningful way or is unmotivated to do so, it can only be seen as nothing short of criminal negligence and re-defines ministerial incompetence. How bad does the situation need to be before it is treated as an absolute emergency ? The Government should, as a matter of urgency, consider imposing a mandatory surcharge on Urea fertiliser and simultaneously a rebate applying to Urea - Nanohybrid fertiliser. If something is not done, the likes of this recent image is at risk of being a thing of the past.